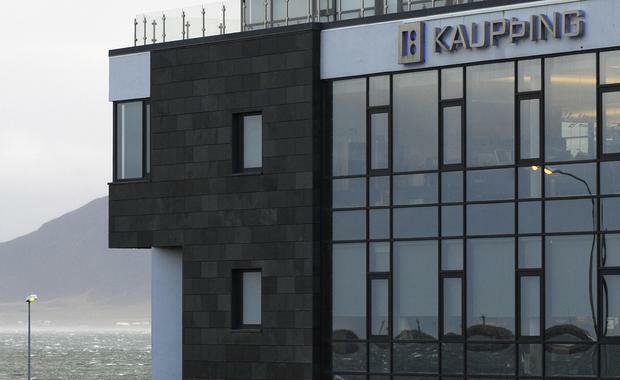 Iceland's Supreme Court has upheld convictions of market manipulation for four former executives of the failed Kaupthing bank in a landmark case that the country's special prosecutor said showed it was possible to crack down on fraudulent bankers. Hreidar Mar Sigurdsson, Kaupthing's former chief executive, former chairman Sigurdur Einarsson, former CEO of Kaupthing Luxembourg Magnus Gudmundsson, and Olafur Olafsson, the bank's second largest shareholder at the time, were all sentenced on Thursday to between four and five and a half years. The verdict is the heaviest for financial fraud in Iceland's history, local media said. Kaupthing collapsed under heavy debts after the 2008 financial crisis and the four former executives now live abroad. Though they sometimes returned to Iceland to collaborate with the court investigation, none were present on Thursday. Iceland's government appointed a special prosecutor to investigate its bankers after the world's financial systems were rocked by the discovery of huge debts and widespread poor corporate governance. He said Thursday's ruling was a signal to countries slow to pursue similar cases that no individual was too big to be prosecuted. "This case...sends a strong message that will wake up discussion," special prosecutor Olafur Hauksson told Reuters. "It shows that these financial cases may be hard, but they can also produce results." Not all of Iceland's prosecutions have succeeded. But the country's efforts contrast with the United States and particularly Europe, where though some banks have been fined, few executives have been tried and voters suffering post-crisis austerity conditions feel bankers got off lightly. A recent scandal at the Swiss private bank of Europe's biggest lender HSBC has highlighted the controversy again and sparked a political row about whether the bank did enough to pursue possible tax dodgers..
Iceland struggled initially to appoint a special prosecutor. Hauksson, 50, a policeman from a small fishing village, was encouraged to put in for the job after the initial advertisement drew no applications. Nor have all of his prosecutions been trouble-free: two former bank executives were acquitted in one case, while sentences imposed on others have been criticised for being too light. However, Icelandic lower courts have convicted the chief executives of all three of its largest banks for their responsibility in a crisis that prosecutors said highlighted the operations of a club of wealth financiers in a country of just 320,000 people. They also convicted former chief executives of two other major banks, Glitnir and Landsbanki, for charges ranging from fraud and market manipulation. Parliament relaxed bank secrecy laws in Iceland to help the prosecutors investigate bank documents without court orders. "Why should we have a part of our society that is not being policed or without responsibility?" Hauksson said. "It is dangerous that someone is too big to investigate - it gives a sense there is a safe haven." Seven criminal cases involving bankers have made it to the Supreme Court, which upheld six of them. Five more, including cases of CEOs - are due to be heard by the top court. Another 14 cases are awaiting possible prosecution, Hauksson said. Many bankers were seen as symbols of Iceland's budding economic prowess before the crisis when sector's assets grew to 10 times the country's GDP, producing a bubble. All of the accused have maintained their innocence. Many Icelanders have been frustrated that justice has been slow. The prosecutors' office has been hit by budget cuts since it was set up, reducing its staff from 100 to around 50 now. Hordur Torfa, a musician who helped organise anti-government protests after the financial crisis, said: "Due to a lack of funds, not enough staff have been available for investigations of individual cases." But Hauksson believes the existing rulings mean there is less chance of similar scandals in the future. "There is some indication that the banks are more cautious. We have sent a strong signal criminality," he said. Asked whether he would take the job again knowing how complex the prosecutions would be, Hauksson replied, laughing: "Yes. And I'd probably be the only applicant again."